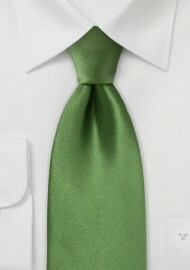 A stunning rich moss-green silk tie by mens tie designer Parsley. Please note that this is a longer length silk tie made from men above 6 foot 3 inches. This is a very appropriate tie that you can sport both to work as well as for a night out with friends. This shade is more of a casual shade, so be sure to refrain from modeling it in a very formal setting. 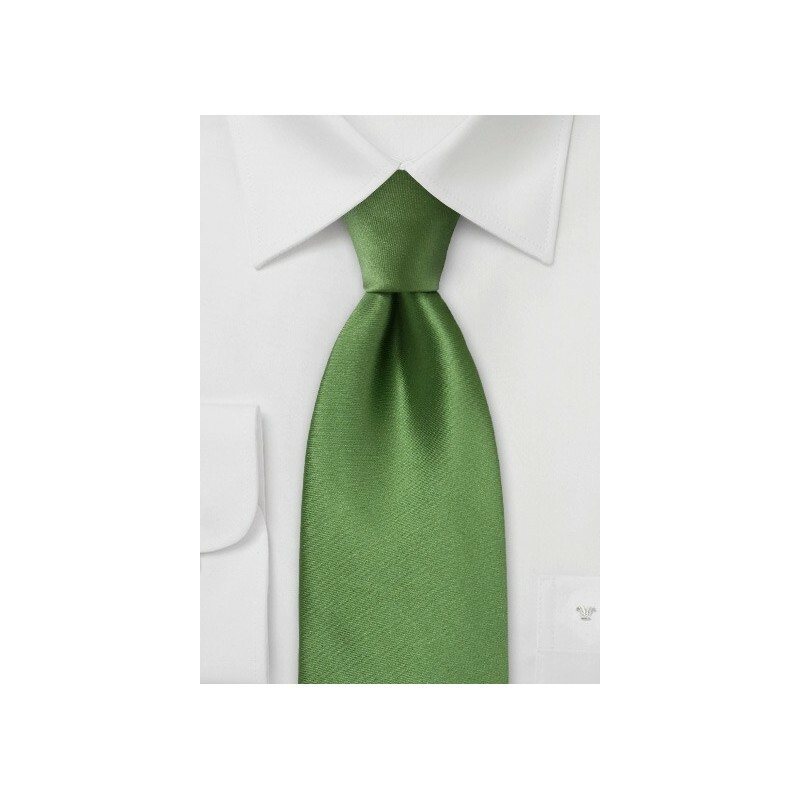 For a great work ensemble, we recommend wearing this tie with a white dress shirt and a light grey suit. If you want to liven up this gorgeous green, try wearing a waffle printed dress shirt and a black suit. This look is chic and stylish that will have many heads turning.